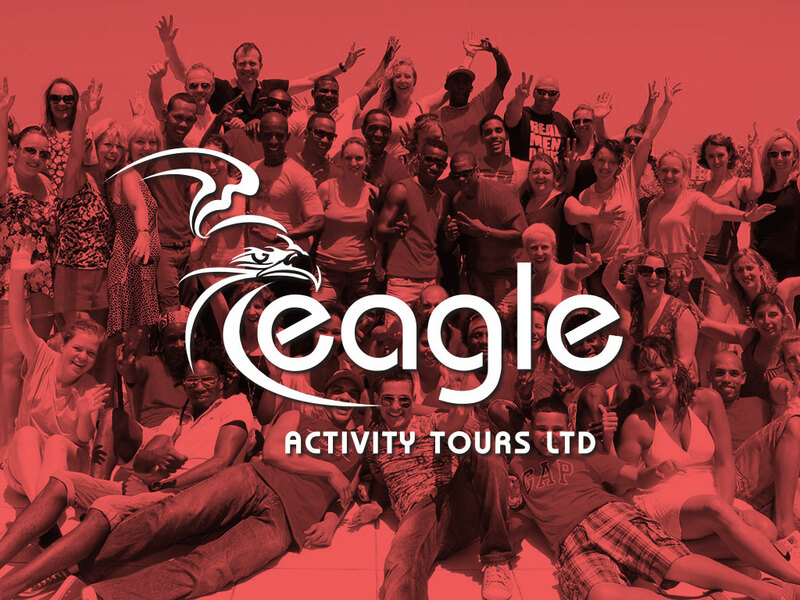 Eagle Salsa Tours are the largest Salsa holiday company in the UK providing all inclusive salsa dance holidays in a range of exotic locations. 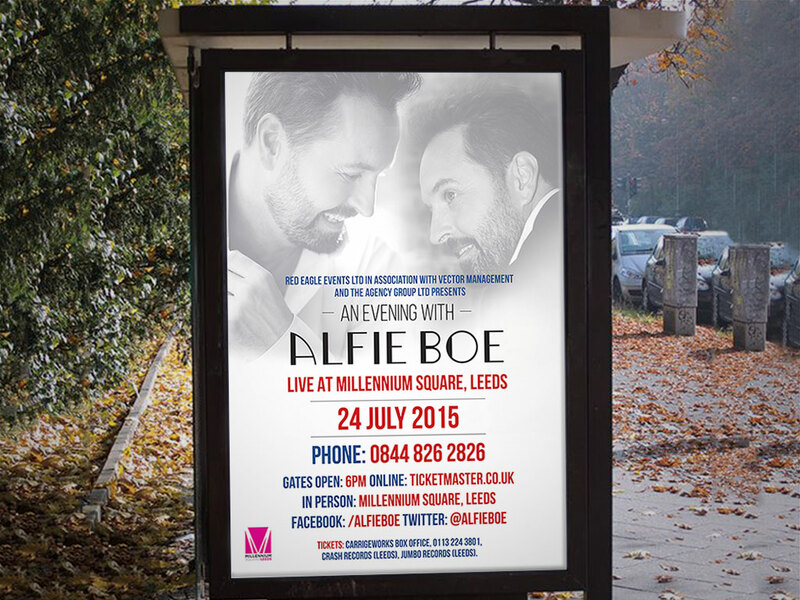 Their partner company Red Eagle Events promote established and up and coming music acts around the UK. 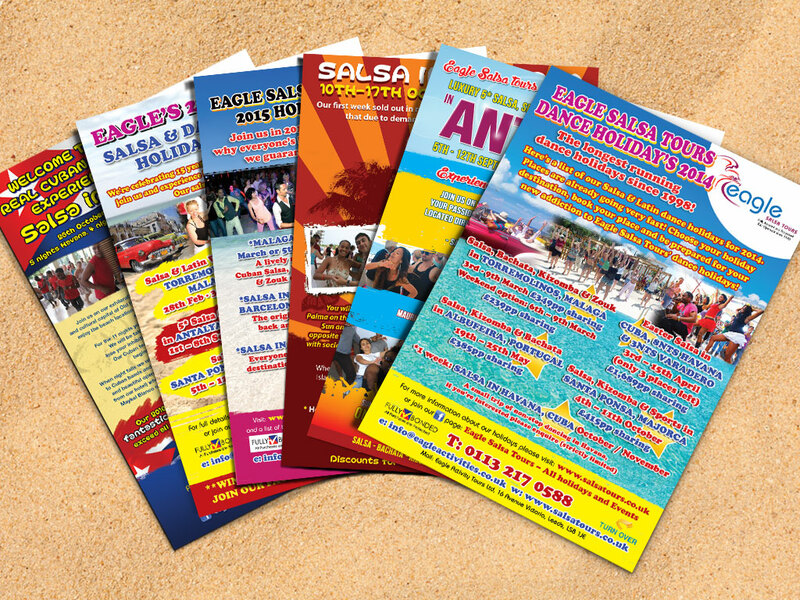 Eagle Salsa Tours run exciting salsa dance holidays several times a year and promote these events with leaflets and banners that need to capture the fun and energy the salsa holidays provide. 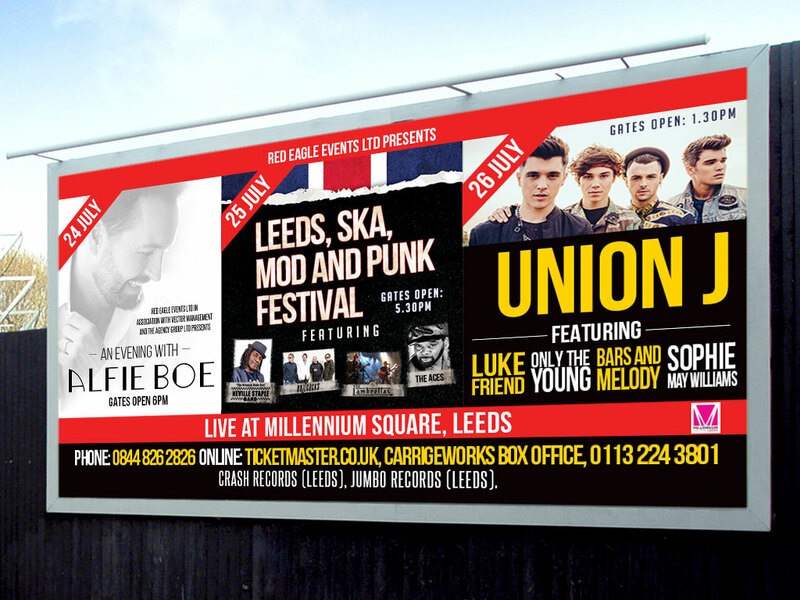 Red Eagle Events promote their acts using outdoor media including billboards and adshels. 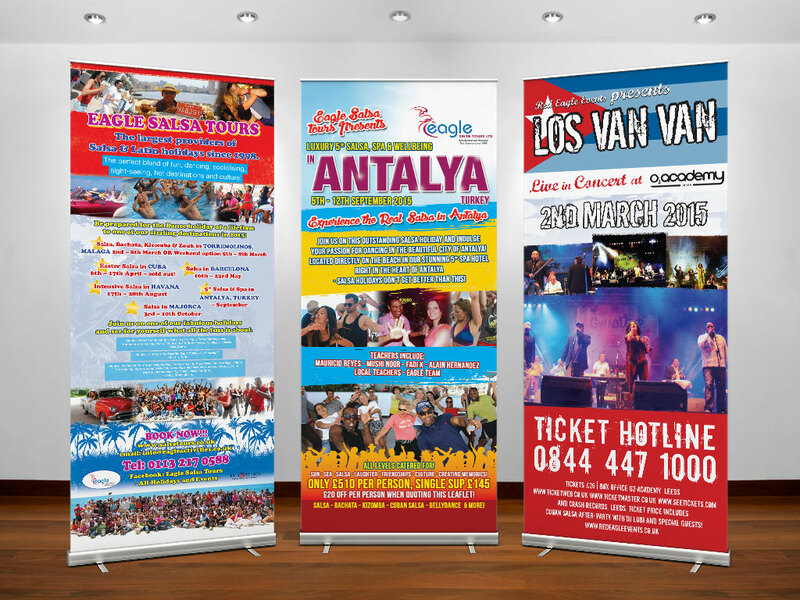 Both the Salsa Tours and music events are extremely popular and often sell out with a very favourable response to marketing efforts.